Sorry, Bill… But to me, this looks like an image processed through one of the apps that let’s you allow some coloration in an otherwise b+w photo… Nice idea… But, I wish the boy was just slightly off center… And I have to say too, that, copy in an art pic drives me crazy! A photographer by the name Bill Tipper, was hired by Jake’s, a boho chic little hotel in Treasure Beach, Jamaica… Nice, although “breathless” pics of yoga practitioners in the sunset shots, with who’s name right next to the sun, in a subtle font in understated grey… You got it… Bill Tipper! The not nice part of me want to take him out back and shoot him! Another not nice part of me says to tell you, that if you ever see ME doing that… Shoot me! Sorry… In kind of a nasty mood today… Taking a zero day in Estella to shoot photos and perhaps nap on and off and do drawings… I need to use the heavy art supplies I carry so-s I don’t toss them away. I won’t even sign a painting. It detracts. People want me to, because they think it’s worth more then. I won’t. Agreed – about text in images. 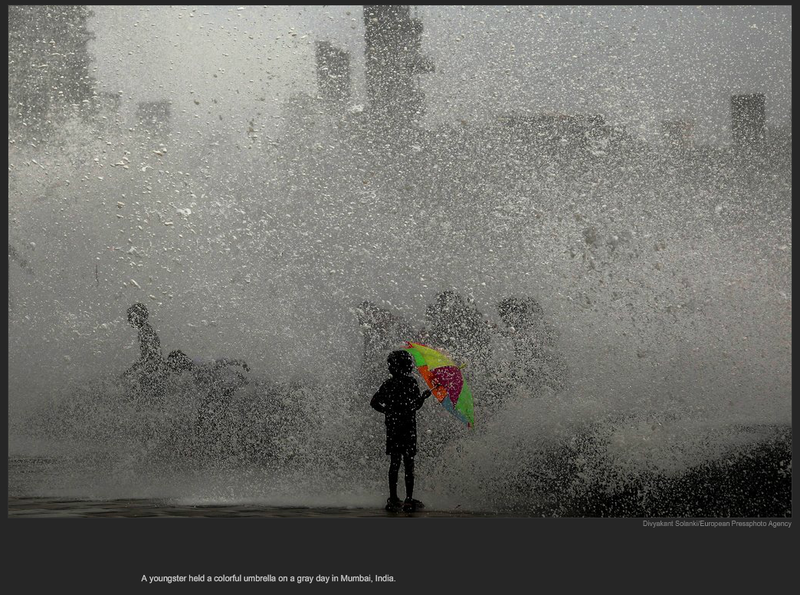 The shot was from the New York Times photo gallery of their best pics of the month, published today. I need to come back and say, I think your work is better. You seem to have good taste and I like your eye. Just sayin’. I find the drama and colours beautiful, but overall it is not very interesting. I assumed the image was created mainly on a computer but my knowledge of photography is pretty much nonexistent. I think it would almost be more interesting without the little boy. I’m more drawn in by the shadowy figures in the background. The boy is too dark for me -he looks like an old silhouette cutout. Honestly, Bill, I think you’ve taken better pictures than this,often. I agree with Sister, Bill. You have taken better pictures!